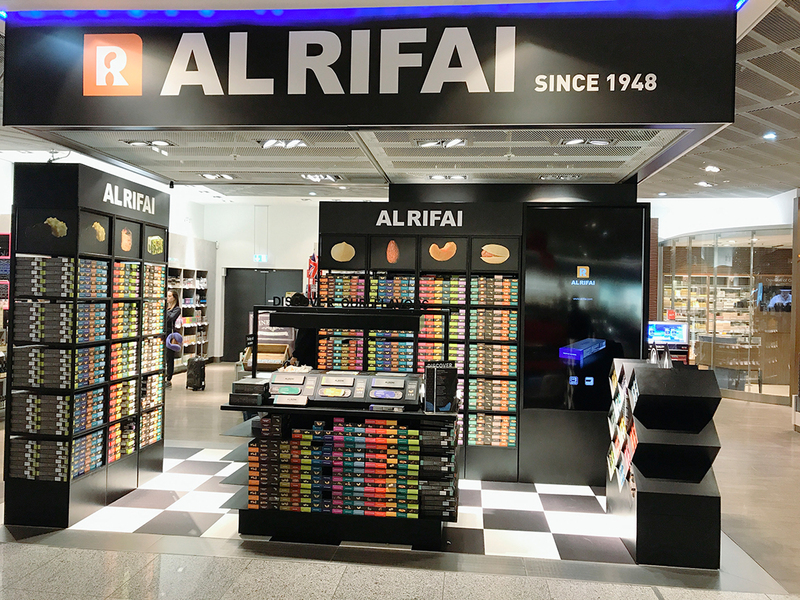 Lebanese nut retailing company Al Rifai is showcasing its ‘Flies you Nuts’ pop-up concept at Frankfurt Airport, Germany, which will run until July 2019. The promotion launches new Al Rifai product novelties including color coded packs, with each color representing a different flavor or mix. 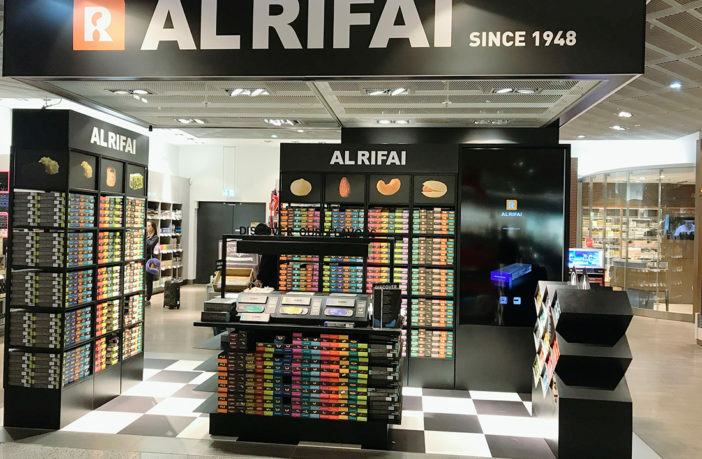 Frankfurt Airport Retail, a joint venture between Gebr Heinemann and the airport operator Fraport, is the first retail partner worldwide to showcase the new Al Rifai concept in store. The products on offer across the 40m² (430ft²) stage range from hand-picked classics such as salted cashew nuts, mixed kernels and roasted almonds to modern variations like jalapenos cashew and citrus chili pistachios. By browsing the company’s website, customers can discover the history, traceability and origins of the products. All Al Rifai products on the pop-up stage come in a microwavable tray, because it is only after heating them that the full flavor of the nuts will unfold. The innovative packaging was designed for this promotion in close collaboration between Al Rifai and Gebr Heinemann’s Fine Food Purchasing department. “The traveler, for years, was missing the fine experience of quality nuts and kernels in the world of travel retail,” said Jean Nader, commercial director of Al Rifai.